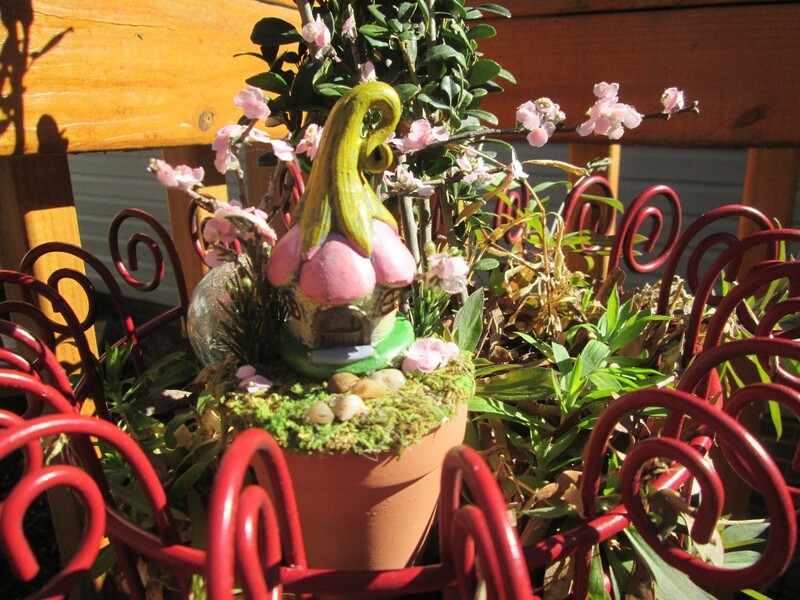 Mini fairy gardens are a popular way to plant a container garden, decorating it with figurines and items to complete your fairy's garden. 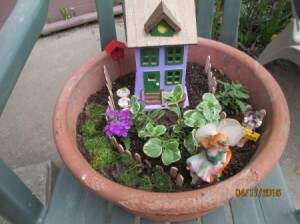 This is a guide about making a mini fairy garden. 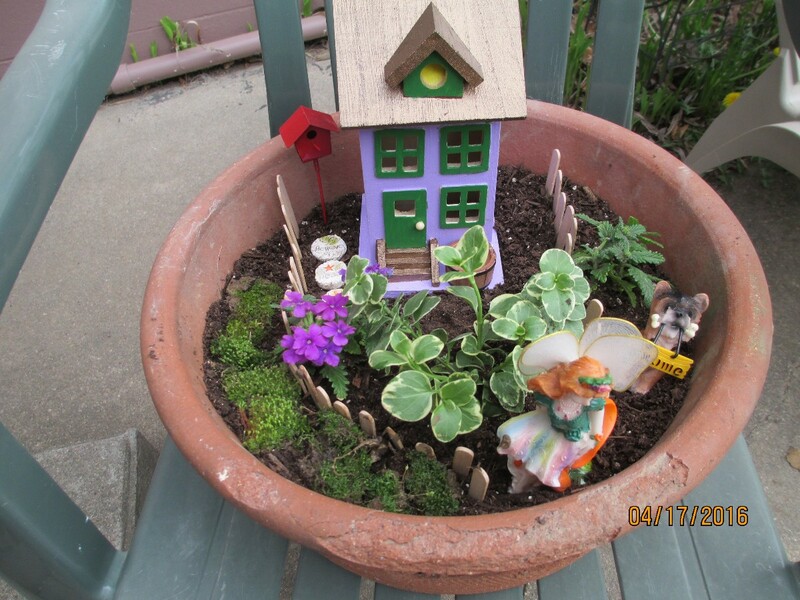 A clay pot, a few plants, a 25 cent fairy from Goodwill, some potting soil, Popsicle sticks for a fence and some fairy garden items from a craft store and the result is a cute little fairy garden which was fun and easy to make! I plan on doing it again this spring. Some people like to make gnome gardens. This would also be a cute gift for Mother's Day, made with love. They are easy and fun and require basically what you can find around your home and yard. 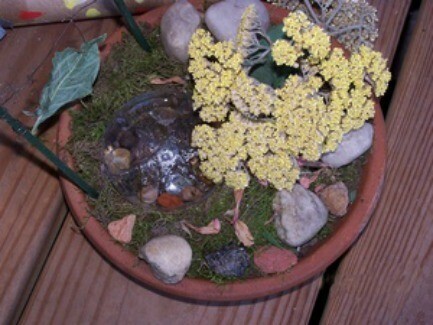 Use old clay or ceramic plates, soil, small rocks or pebbles, dried flowers, sand, moss, etc., to create little faerie gardens or as my daughter calls them "Ladybug Gardens". In this pic, a pond was made out of the bottom of a plastic water bottle and a leaf, floral wire and picks were used to create a fairie swing. Fun Fun Fun!